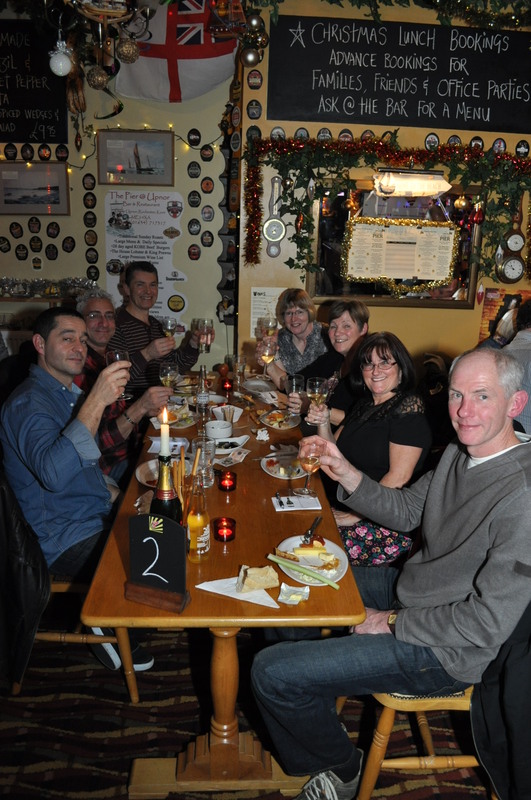 Yet another event from the Upnor Pier, this time nearly 100 people had assembled for a wine and cheese tasting evening. There was even a wine expert on hand to guide us all through all of the different wines that evening. A set of tasting notes had been prepared to help us explore the world through our glass. I doubt that from the range that was presented that there was anyone that did not find at least one or two wines that they enjoyed. A selection of White, Rose and Red were served some from the traditional wine making countries and regions and others from what I think we are still allowed to refer to as the new world. My personal favourites were the Beaujolais from Domaine Romany in France and a Remole Sangiovese from Tuscany. although I don’t think that there was a wine that wasn’t well received. Even with my very limited knowledge of wine this was a fine selection. 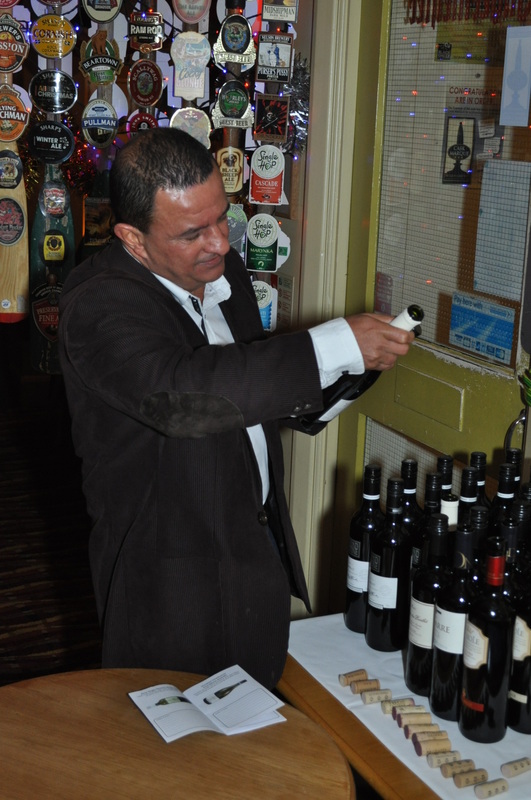 The evening was hosted by Gilles Wilfrid an expert from a major wine distributor. A fantastic array of cheeses, pickles, chutney and other items were set out on a large table and more than enough to feed everyone was provided. We were given a few tips as to which cheeses would compliment which wines, and told how temperature was important to the condition of both. Again the wines with the most positive feedback will be making it onto the wine list of the Pier, joining the chosen few from last year. To be informed of the different events at the Pier, keep your printed copy of the Peninsula Times handy as you will find them on page three and all the dates for the month will be there.